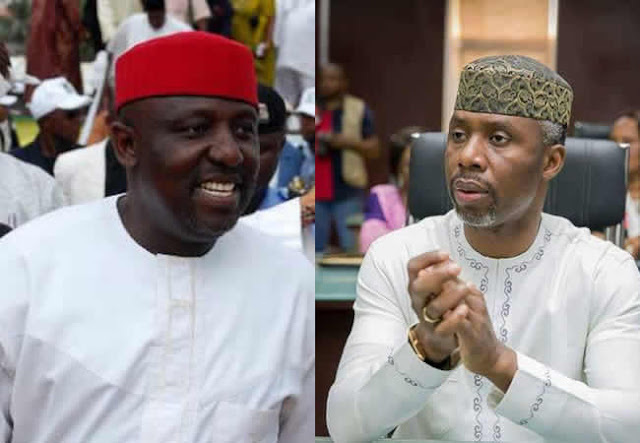 Report from multiple sources gives indication that Imo State Governor, Rochas Okorocha has finalised his plans of dumping the ruling APC for DPP after APC failed to pick his in law Nwosu as its Governorship candidate. This is coming after his Chief of Staff and son-in-law defected from the All Progressives Congress to the Democratic Peoples’ Party (DPP). Nwosu and some members of the state House of Assembly, as well as some of Governor Okorocha’s aides have defected. Their defection is as a result of the fall out of the APC governorship primaries in the state in which Nwosu failed to emerge as the party’s gubernatorial candidate. “What happened in Imo was a clear case of injustice, where Uche Nwosu won the primary and was robbed of the ticket. “This injustice must be addressed. However, in spite of the fact that my aides are leaving the party, I am still a member of APC and will not leave the party.